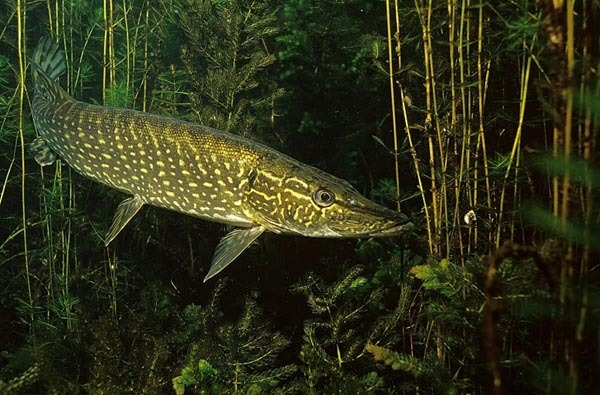 As far as fossilised remains show, pike has been around longer than all other freshwater species in the British Isles, showing that it is not only the ultimate predator, but also the ultimate survivor. A pike's large, powerful tail propels it forward at impressive speed. A pike will catch its prey fish more often than not, however, due to its poor timing it will miss every now and again. Its colossal jaws allow is to swallow anything little smaller than itself - fur, feather or scales. Almost regardless of the weather, pike can be caught at any point from June through to March. In most fisheries, a pike around 20lb, usually measuring around 40in, is considered the specimen size to aim for, although its ultimate weight potential is probably around 50lb.